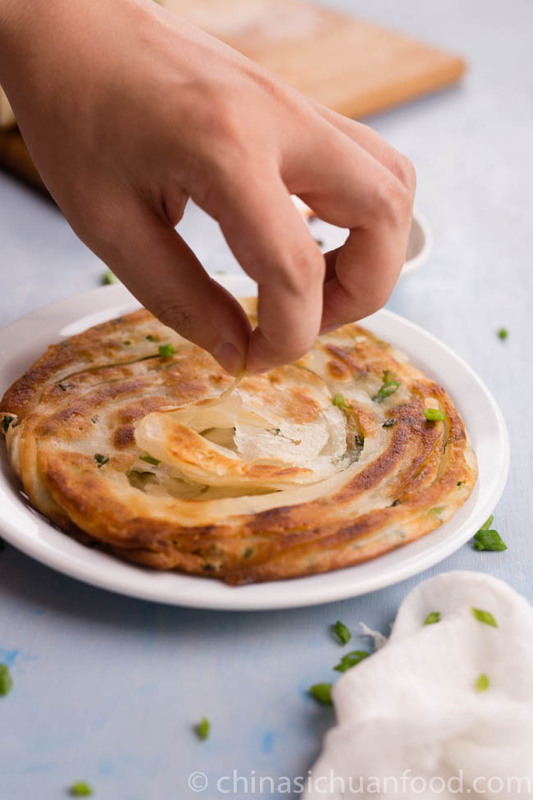 Scallion pancake (Cong You Bing), possibly the best famous Chinese pancake in western country, has its unique charms to its lovers. 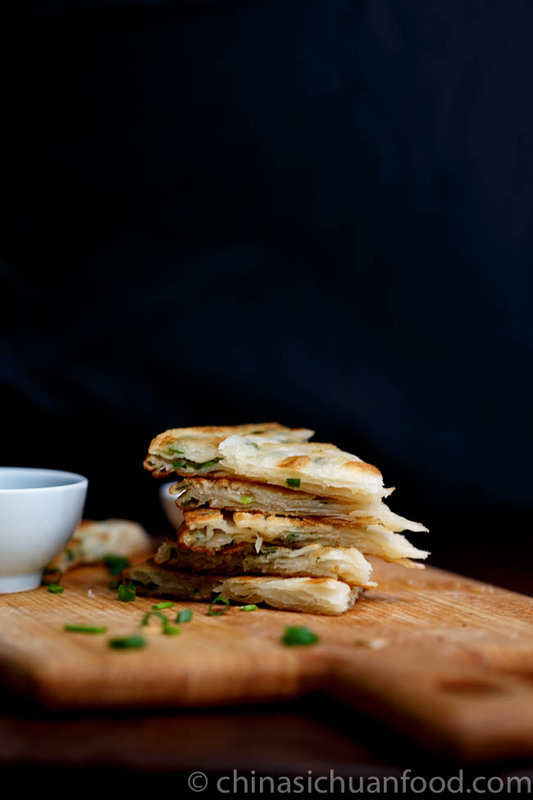 The crispy out shell, the softer inner part and the beautiful layers make it dominate other Chinese pancakes. 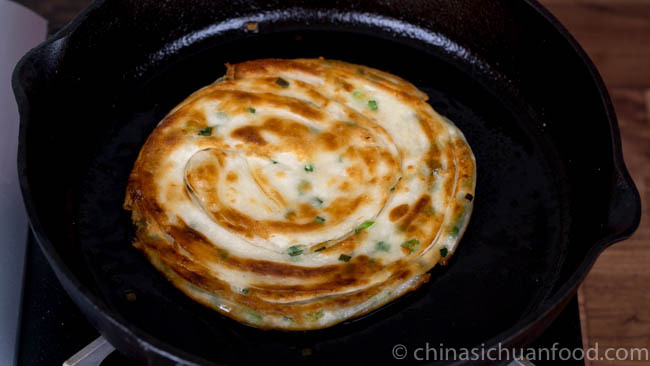 Making a perfect scallion pancake at home is quite easy. More fortunately, they can be frozen well. You can assemble them ahead and package each one with a air-tight bag before freezing. 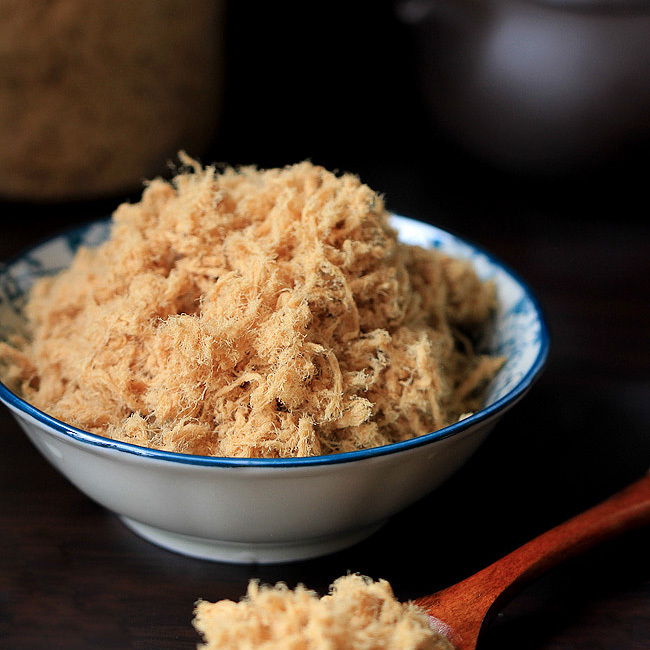 In a hurry morning, take it out and fry directly and serve with a blow of porridge or congee, even milk. Besides, there is an easy version developed by Elaine. 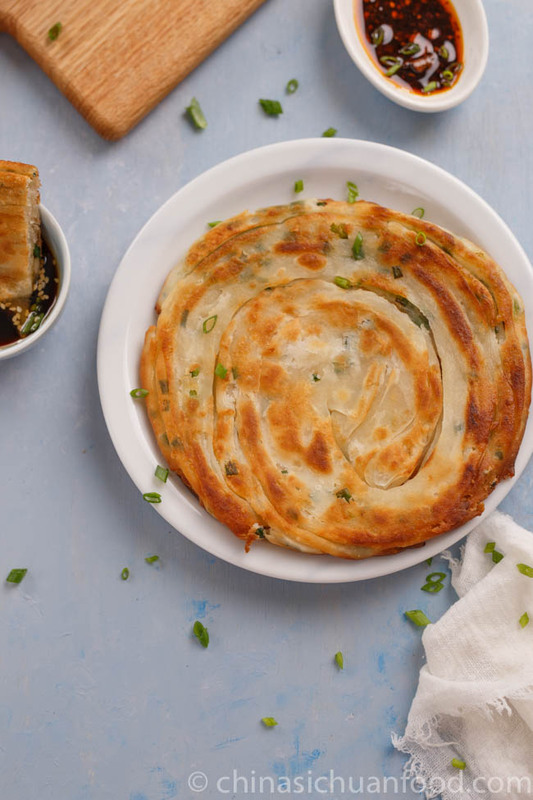 With that recipe, there is no need to knead the dough as the pancake is directly fried from batter. We recommend using hot water to make the dough instead of cold water. Hot water can help to shorten the frying time so there is no burnt outside and uncooked inner part. And it also helps to keep a softer inner part, forming an interesting contrast with the crispy out-shell. 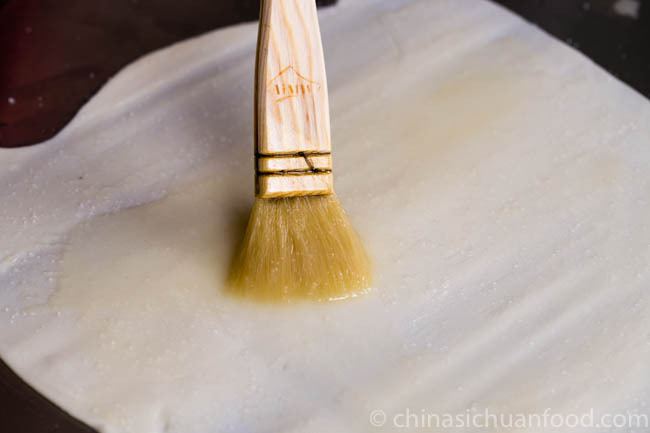 Whenever you feel the dough is sticky, brush oil on your hands, operating board and rolling pins. Never dust flour!! 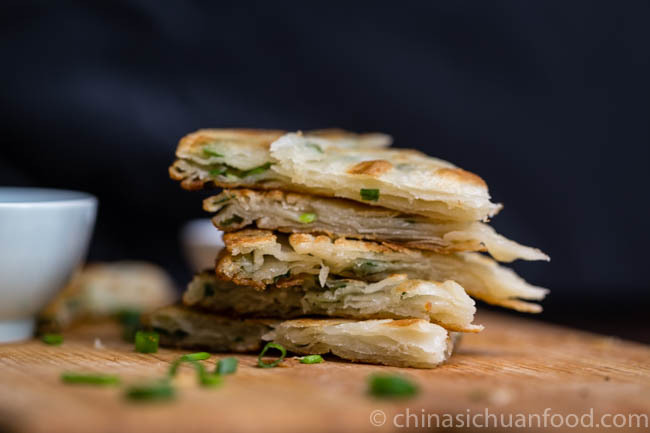 We have found the best way of folding the pancake instead of rolling up simply, you can get this hand folding fan method from the video. It brings beautiful layers. How to keep the pancakes: place one rolled up pancake into a air-tight container, press out with hand or rolling pin and seal completely. Keep in freezer up for 1 week. 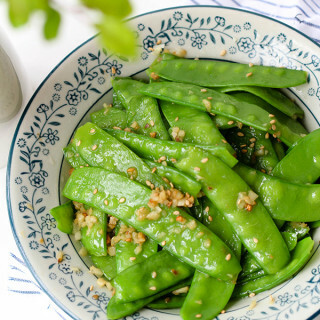 Other ingredients: 2 cups finely chopped green onion or scallion, salt for garnishing and oil for brushing and frying. 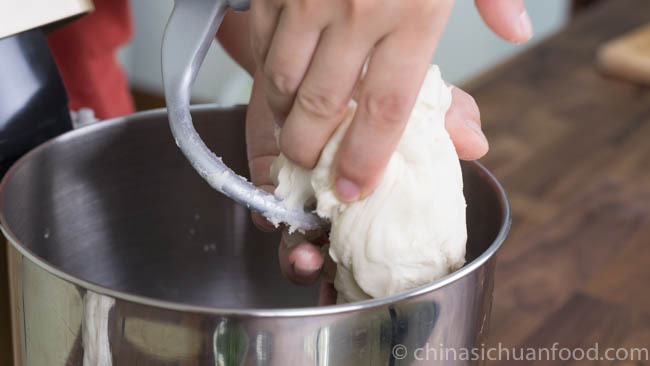 Make the main dough: Slowly stir the hot water to the flour. Wait until cooled down and knead until it forms a smooth dough. Or knead the dough with a stand mixer for 5-7 minutes with low speed. 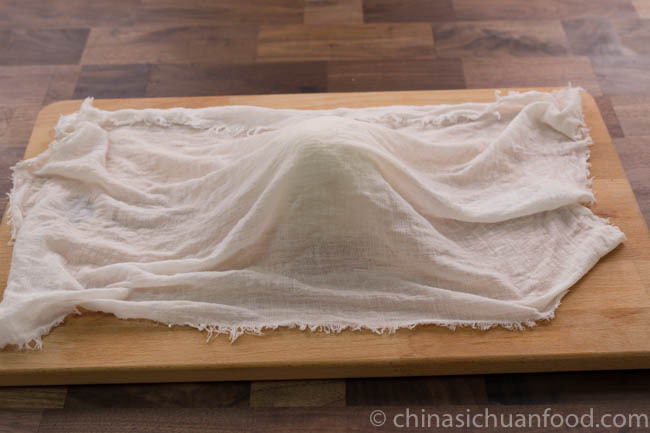 Rest the dough: Cover with plastic wrapper or a wet cloth and rest for at least 30 minutes. When the gluten can be well rested, we can easily roll the pancake out. 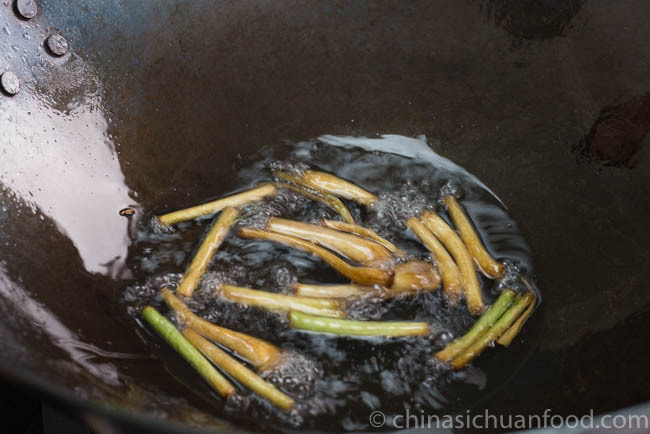 Make the oil-flour mixture (油酥): heat oil over medium fire and fry green onions until browned. Discard the green onion and keep the oil. 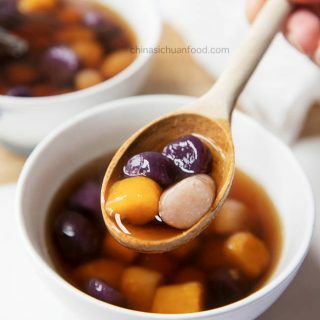 Pour flour into a small bowl and mix in the hot oil. 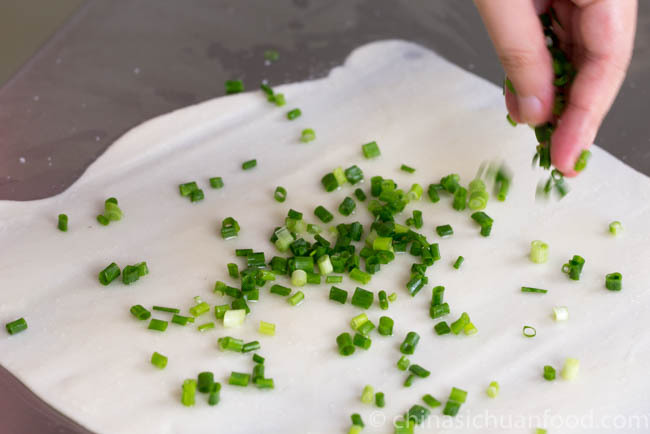 Roll out the dough: Cut the dough into 4 equal portions and roll one portion out to a large rectangle wrapper. 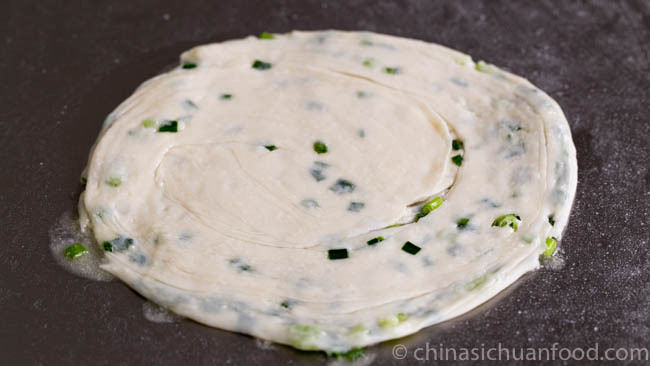 Sprinkle salt and top with a layer of oil-flour mixture and then another layer of chopped scallion. 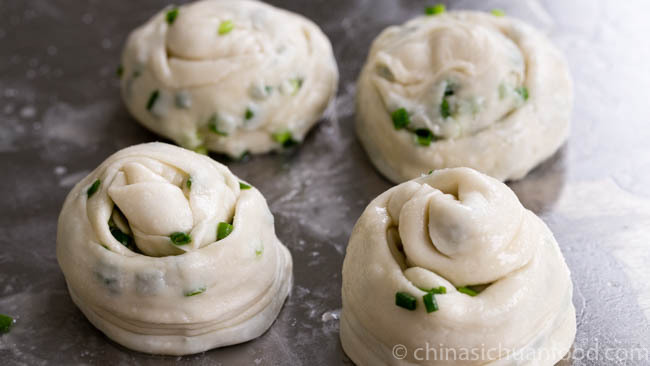 Roll-up the dough: Starting from the long end, roll the dough up like folding a hand fan. Slightly stretch and roll one side up to the middle and then the other side to the middle too. Overlay the two ends. Cover the dough and rest for 15 minutes or so. Repeat the process and finish all of the remaining portions. The former twos with more layers are assembled with the hand folding fan methods, while the two in the second line is made with simply roll up method. Roll each portion to a large pancake (around 5 inches in diameter). If you plan to cook the pancakes later, package each of them with an air-tight bag and freeze up for 1 week. Frying the pancakes: add around 3 tablespoons of oil in a pan and fry the pancakes until golden brown on one side (takes 3-4 minutes over medium fire), turn over the fry the another side for 3 minutes too. After turning over, slightly press the center of the pancake so they can be fried evenly. 300 g all purpose flour ,2cups + 2 tbsp. 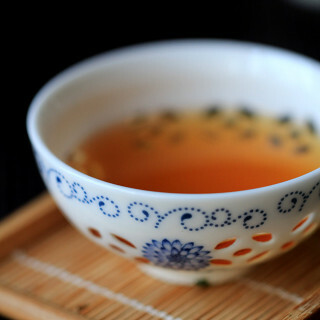 170 g hot water ,1/2 cup + 3tbsp. Rest the dough: Cover with plastic wrapper or a wet cloth and rest for at least 30 minutes. So the gluten can be well rested and we can easily roll the pancake out. 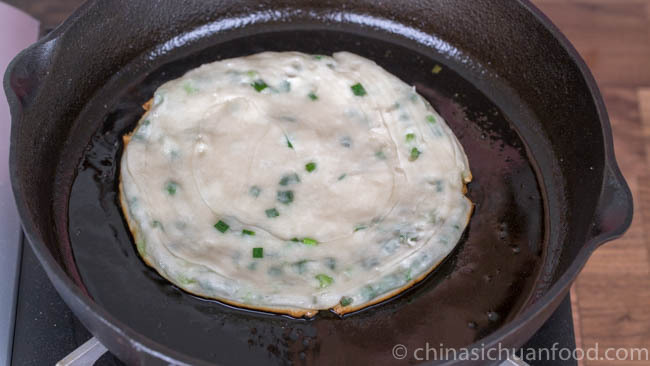 Make the oil-flour mixture: heat oil over medium fire and fry green onions until browned. Discard the green onion and keep the oil. 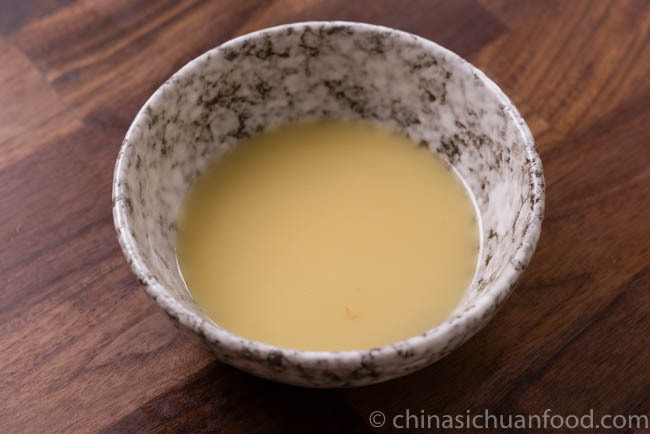 Pour flour into a small bowl and stir in the hot oil slowly. The Nutrition Facts is based on each single pancake. These look fabulous — and so easy! Congratulations on your video site! 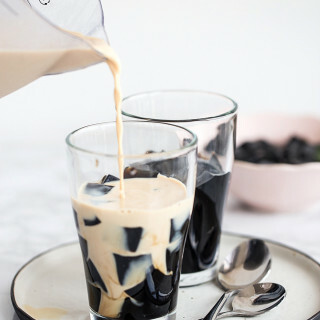 I’m linking in Facebook so my friends see this recipe — it’s perfect for vegans too. Thank you, Kes. 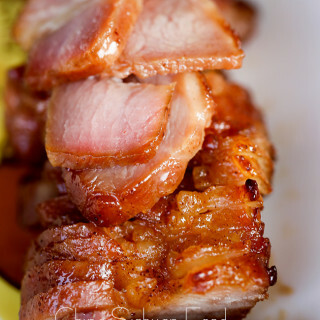 We have been spending lots of time on video recipes recently with the hope of showing the process more vivid. Really hope all of you will love them as me too. This recipe looks delicious. 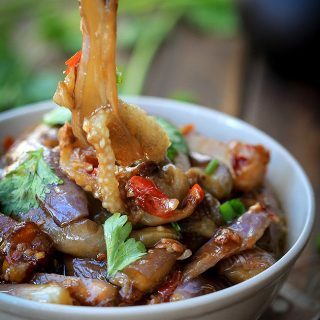 I’m going to get some scallions later on and try this right away. I note that you said these keep for 1 week, but I also came across a youtube video where it says you can keep this up to 1 month in the freezer. Is there anyway we can push it past a week? It just seems so short! P.S: I recently came across your blog, I am obsessed! It is ok if you plan to freeze them for a longer time. 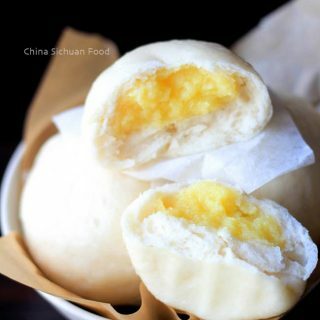 The store bought version usually can be kept for 3 weeks, but they add additives. 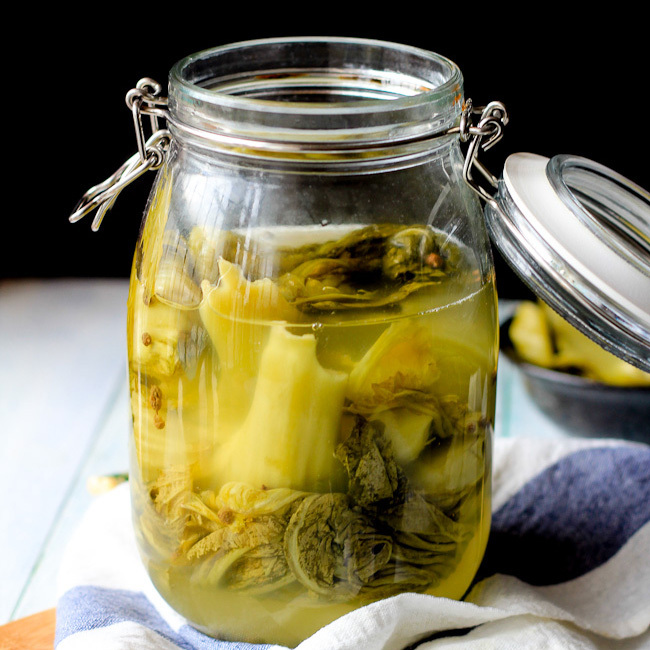 But I do not suggest freeze food except fermented food over one week. These were amazing! They were like a savory donut, just the best crispy texture and so delicious. I have to admit that I didn’t get the nice rings you showed. It was a bit tricky because the scallions were leaking out, but I hope with more practice to make them prettier. The layers in these reminded me of puff pastry. Everyone should try these! 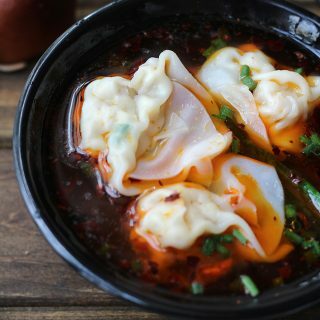 You get every point of this dish! No worries about the shaping. It goes quite well along with your practice. Success!!! Thank you so much. They have always been a childhood favorite and now I am so happy that I have finally made them myself. The video tutorial of the folding was super helpful too. Woohoo!! Thanks Jessica. I am so glad the new invented method is helpful to you too. 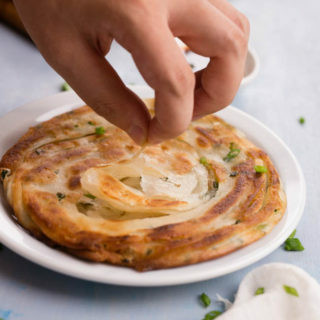 I love it very much and have been using this technique in other daily pancakes. Happy cooking!